In Benedict they believe that breakfast is a style of meal and not the hours people consume it. Not ‘WHEN you eat’, but ‘WHAT you eat’. Benedict’s breakfast kitchen is open for breakfast lovers everywhere, every day, all day. They always welcome the adventurous convention breakers, for whom breakfast in the evening is a wonderful way to start the night. Benedict's world of breakfasts contains a multitude of flavors, combinations, culinary innovations and surprises. Here you will find wide variety of ingredients that come from different cultures and traditions, where the morning starts in a different way than you are accustom to. They create out breakfasts on a foundation of freshness, indulgence and freedom – the fine values that constitute the BENEDICT BREAKFAST EXPERIENCE. Da Da, located on Rothschild Boulevard in Tel Aviv, is a café and a wine bar. The large space is divided into a delicatessen, a cafe, a bar and a patio, and was cleverly designed by designer Yaron Tal. At Da Da, you can enjoy a lunch menu, breakfast and an evening menu offering classic brasserie dishes. The food at this flamboyant place is relegated to secondary importance – here, it's all about the vibe. Sitting at the bar and watching the chefs and waiters chop, flambée, plate, sing and down arak shots with customers is fabulous fun, and the modern Israeli menu with its pizzas, colourful vegetable dishes and flavourful slow-cooked meats will please most diners. For one of the best meals in the city, take your place at one of the tables spilling out onto the sidewalk or alongside the small, chic bar. The menu changes daily, depending on what Eyal Shani, its celebrity chef, finds to be the freshest produce or catch of the day. If you arrive without reservations, you may be able to find room at the bar. Celebrity Chef Eyal Shani has redefined street food in Israel with Miznon, a pita-centered joint where culinary expertise meets incredible ingredients. The atmosphere is loud and lively: just order your food, sit back, enjoy the free pita and tahini nibbles, and wait until your name is called. Just about anything you can fit in a pita is on offer here, including a rich and meaty minute steak, chicken liver, steak and eggs, kebabs and shakshuka. Vegetarians can find a good meal here too, with a slow-cooked ratatouille and the simple deliciousness of a juicy head of cauliflower that oozes flavor through its simplicity. Miznon has multiple locations in the center of Israel and even one in Paris! 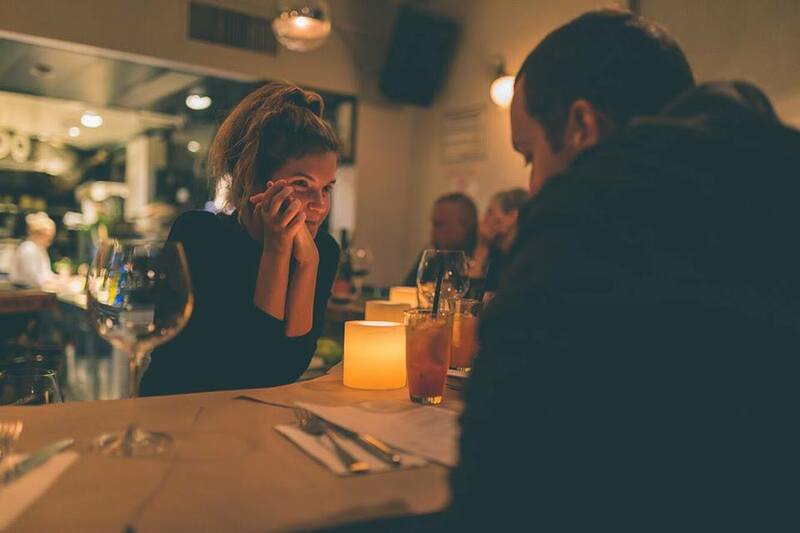 Located on Tel Aviv’s trendy and eclectic Lilienblum Street, Night Kitchen is an intimate place, and its unadorned charm makes you feel right at home. It’s only been around for two years or so, but it has the feel of being an oldtimer in the best sense of the word. Created by chef Eyal Dayan, the menu is quite extensive, with a wide array of salads, pasta, fish and meat dishes. Diners can choose to order from the rich menu or have the tasting menu and surrender to the chef completely. Shila – The bar with the best food or the restaurant with the hottest bar, was established by Sharon Cohen and his wife Adi. At the first years Sharon worked with 2 cooks and Adi with 1 waitress. Year after year, step by step the restaurant grows and expanded its size, staff and culinary vision. Today Shila became a home for people that love to eat and have fun, Sharon Cohen, the chef, manages his kitchen with laughter and humor behind the Flame, Seasoned with grace and serves with love. Popina, the Orel Kamahi chef restaurant, serves a variety of meticulously prepared dishes that creatively combine seasonal raw materials from Israel and abroad and are served in its unique and elegant style. The menu in the restaurant offers an unique experience, and guests can choose and focus on vegetables, meats, fish and seafood. The chef and the kitchen staff undergo five different cooking methods: pickling, steaming, baking, roasting and long cooking. This division comes from the restaurant’s world view, which views kitchen work as a focal point for culinary entertainment, and shares the proper respect for the ingredients of the dish and its preparation. This concept, which is also reflected in the building of the restaurant located in a magical stone house in Neve Tzedek, allows an observation of the kitchen work in the center of the space, which is designed from each of the tables or from the wide bar that surrounds it. Topolopompo fire-kitchen restaurant inspired by the exotic culinary traditions of the east is another culinary tour-de-force of the celebrity chef Avi Conforti. Its fire is omnipresent not only in every single dish but also physically as a prominent and active participant in space. This Rooftop Bar & Lounge located in the heart of one of Tel Aviv's most famous boulevards features a large selection of unique cocktails and delicious small plates. Large terrace and amazing lounge guarantee the perfect venue for your Entertainment experience. The hotel’s renowned brunch affords innovative takes on culinary classics whilst for lunch and dinner, the restaurant serves all-year-round staples such as Raw Tuna. Paired with an expertly curated list of boutique and international wines or classic cocktails, guests at Hotel Montefiore restaurant luxuriate in the plush leather cushioned seats amidst mythically sized palms that dot the circumference of the space. Location of Herzl 16 is absolutely stunning, an architectural beauty. You walk through a small unassuming passage into a gorgeous open courtyard. Continuing through, you reach the indoor bar area that hosts live bands in the evenings. Further still, another outdoor seating area that’s much smaller and quieter. The vibes could not be more on point. Herzl 16 is one of the hottest places in town! From a good coffee and pastry, through a delicious lunch to a full dinner with alcohol. There are a courtyard and a playground for cool performances. This restaurant-bar fills up from the early evening with a young crowd of extremely cool locals. Port Said offers the perfect blend between good vibes, good drinks and good food. What more could we want!? With a massive vinyl collection, the hippest waitresses, and a food menu created under the supervision of iconic Israeli chef, Eyal Shani (of Miznon and Beit Romano), you’ll understand why Port Said has been successfully serving the young communities of Tel Aviv for years. Featuring innovative Israeli dishes, there is always a new menu addition to savor. While the wait may be long and the energy intense, no visit to Tel Aviv is complete without an evening at this iconic spot. So grab a Goldstar, some delectable food, and spend your night chilling under the stars with the locals at Port Said. The pretty rooftop over the Herbert Samuel restaurant is home to Sublet, one of the coolest summer venues in the city, its superb location offering breathtaking, uninterrupted views across the sea. This cute little bar is an elegant contrast to the raucous partying of much of Tel Aviv’s night scene. Welcome to Hotel Montefiore, an oasis of style. Hotel Montefiore embodies the essence of unparalleled luxury, intimacy and exquisite style in a picturesque, meticulously restored Eclectic architecture-style edifice in the heart of Tel Aviv, just steps from Rothschild Boulevard. Built in 1922, Hotel Montefiore first existed as a private residence before its three year restoration and transformation into its current incarnation, officially opening in June 2008 on Montefiore Street in the “Lev HaIr” district, or “heart of the city.” With 12 rooms dressed in elegant dark wood furnishings, a flagship Tel Aviv restaurant and a bar serving artisanal, classic cocktails, Hotel Montefiore satiates every desire. Nestled on a picturesque city square, The Norman, the only luxury boutique hotel in Tel Aviv, lies in the heart of the White City; Tel Aviv’s world-famous UNESCO heritage site of historic Bauhaus architecture buildings. Perfectly situated next to Rothschild Boulevard and Tel Aviv’s best cultural attractions, The Norman is comprised of 2 classic buildings, beautifully restored to their unique elegance. No. 25 Nachmani St., the main building of the hotel, is a grand Modernist building, featuring clean lines and wooden shutters that capture the essence of 1920s architecture. No. 23 Nachmani Street, a residential suites building, available for both short and long term stays, was built in the Eclectic style and is brimming with Renaissance influence and oriental accents. Shenkin Hotel is a boutique hotel in Tel Aviv that is owned and operated by locals. That means that not only do we offer 30 immaculately-appointed guest rooms, and not only do we have a prime location in the White City, a neighborhood that epitomizes Tel Aviv’s spirit, but we’re also experts on this incredible city and we’re perfectly equipped to help you make the absolute most of your stay. Whether you’re here for important business or purely for pleasure, Shenkin Hotel is exactly where you want to be. The Shenkin Hotel places you just steps away from the city’s vibrant arts and culture, dining and nightlife scene. You’re also just a short walk from the world-famous beaches of the Mediterranean. Because this boutique hotel in Tel Aviv is staffed by a team of knowledgeable professionals that also happen to be some of the city’s most in-the-know locals, you can be sure that we won’t let you miss the must-see tourist attractions. BLUE - BREAKFAST/COFFEE/BRUNCH, LILAC/PINK - EASY ISRAELI LUNCH / DINNER, GREEN - FINER DINING DINNER, YELLOW - DRINKS, RED - WHERE TO REST.